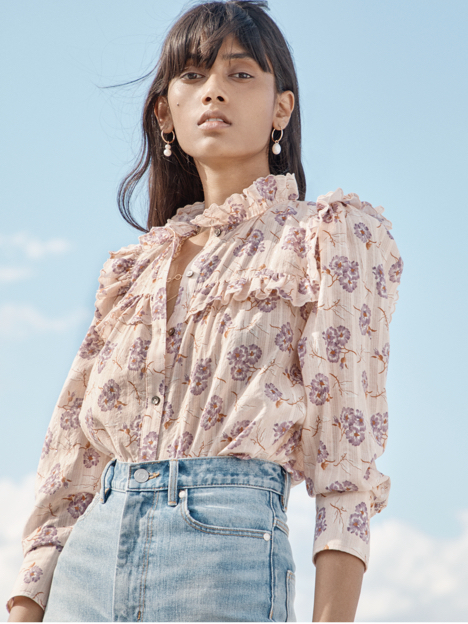 Voluminous sleeves and soft paisley print channel the optimistic mood of the season on this top. Voluminous sleeves and soft paisley print channel the optimistic mood of the season on this top. Let it lend a feminine twist to your favorite denim.